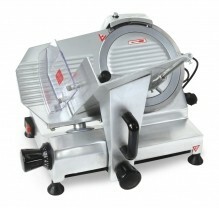 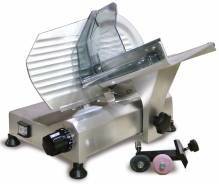 A light duty slicer is the proper size for any small café, restaurant, fast food establishment, or even household! 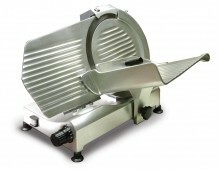 With the ability to cut meats, cheeses and vegetables, a meat slicer is a convenient addition to any type of kitchen! 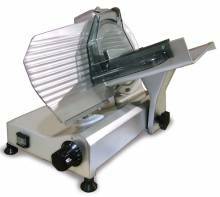 Not only does a meat slicer provide you with quick and easy precision of slicing various types of meats, it increases productivity and reduces labour costs! 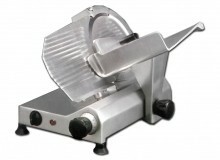 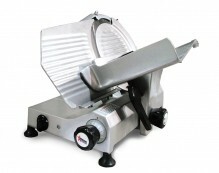 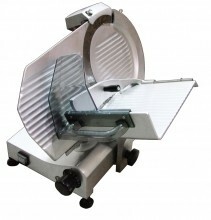 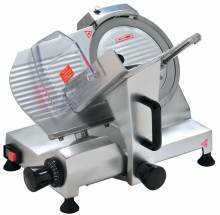 A light-duty meat slicer is ideal for any establishment that will be using it for less than 1-2 hours a day! 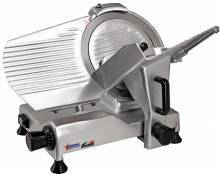 The perfect piece of equipment to add to your food establishment or household if you are looking to cut down on food costs! 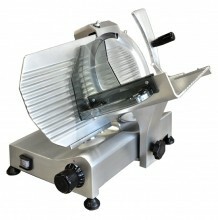 Slice it to your preferred thickness, when you need it! 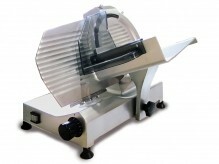 Sandwich meat for sandwiches can be a pain, especially since its shelf life isn’t long! 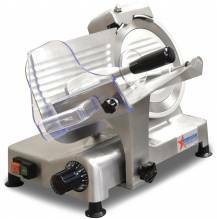 By buying big pieces of various meats, instead of cold cuts, you can slice however much product you want per serving, ensuring freshness and saving money!